Attention Farmhouse Fanatics! 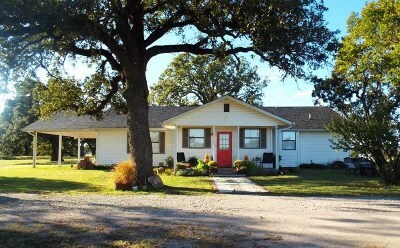 This 2 bed, 1 3/4 bath country charmer has 1, 959 sq. ft., has been redone in true farmhouse style (lots of improvements) and is ready for its new owners. The house could also be easily expanded to create a third bedroom or other room(s) if desired. It comes with 21.53 acres of pasture land, a barn, corral, storage building and pond to make all those hobby-farm dreams come true. You will not find a more peaceful setting with a more panoramic view. These kind of places are especially hard to find - especially within an easy drive to town. The fact this one is in the highly-respected Lone Grove school district is an added bonus. Better hurry!